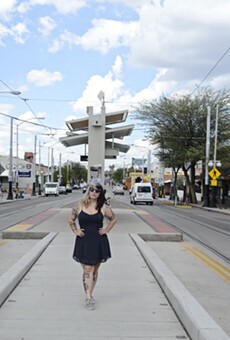 There is no better place to dive into the cultural wealth this city has to offer than the annual Tucson Meet Yourself Folklife Festival. Founded in 1974, the event beckons thousands downtown with music, dance and other performances that showcase the customs of the numerous cultures that make up our ethnic landscape. Then there's the food court, a massive smorgasbord of homemade ethnic grub so abundant and mouth-watering that for years, people have quipped that the event should really be called Tucson Eat Yourself. Whether you go for folklorico dancing or for a plate of pad Thai, you'll leave with a better understanding of the people who populate this diverse desert city.